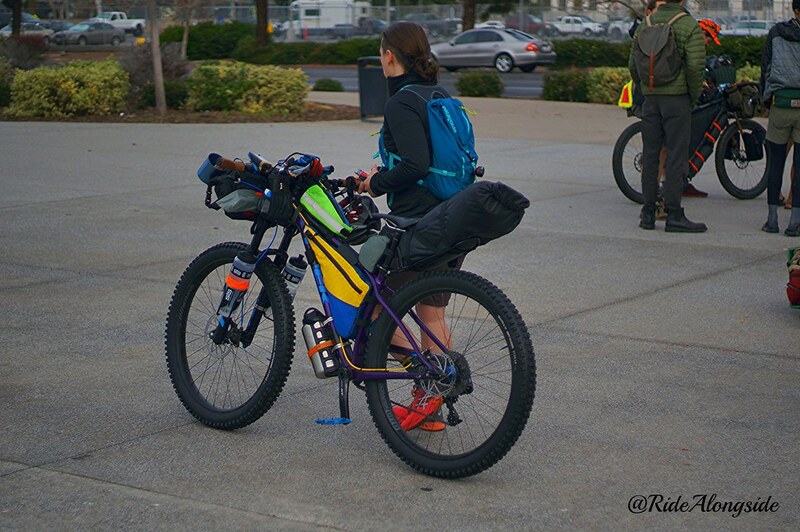 This morning I saw many riders with loaded up bikes ready to spend many nights under the stars in Baja California, Mexico throughout January 2017. 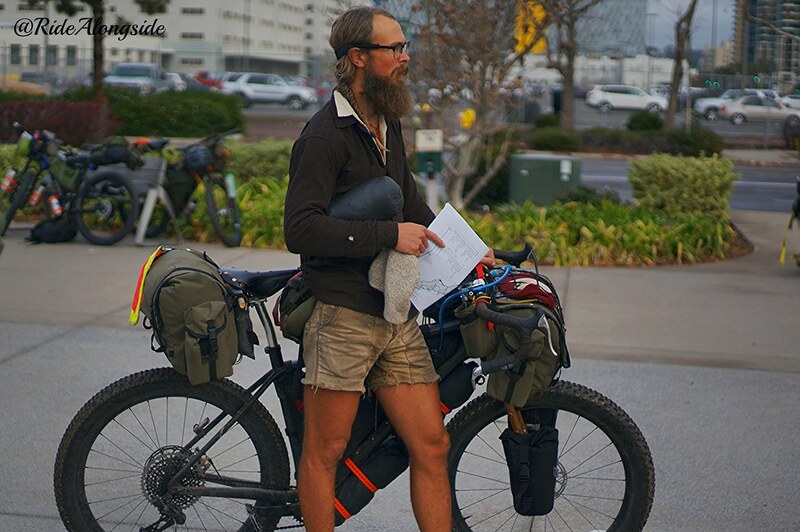 As mentioned in our previous article posted last January, the Baja Divide is a 1,700 mile off-pavement route that Nicholas Carmen and Lael Wilcox researched and developed last winter. 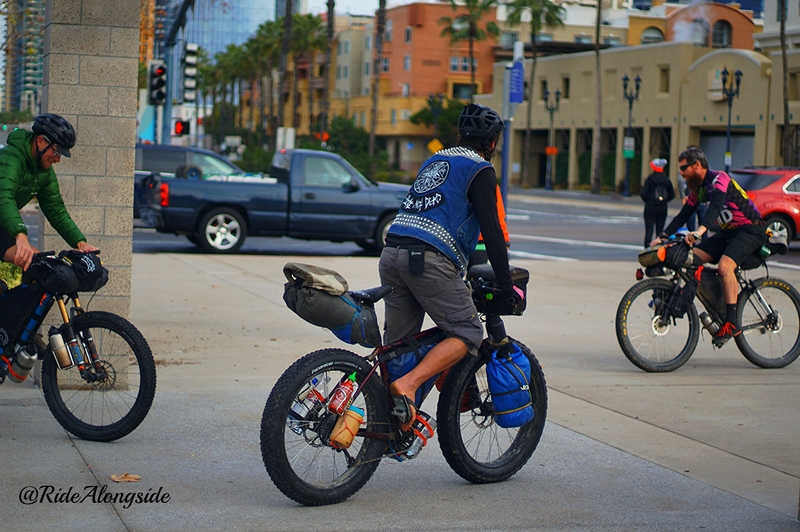 Today, the “Ride the Baja Divide, 2017” group start commenced in San Diego, CA. 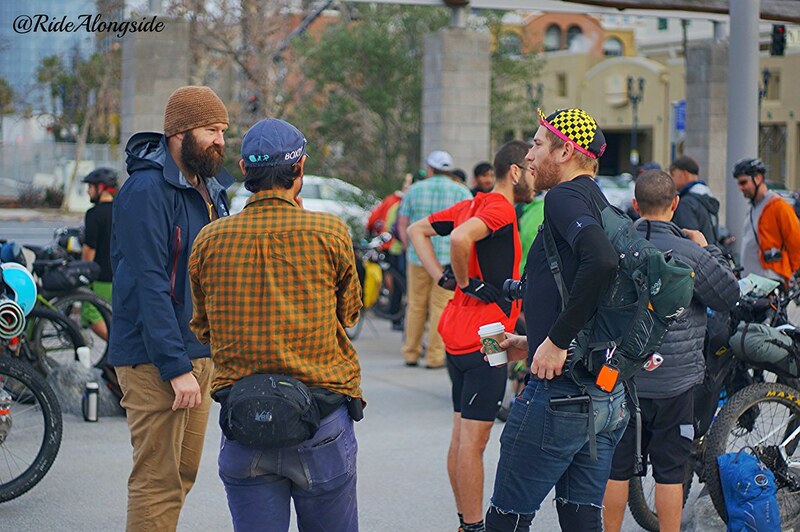 The riders that showed up this morning, ready to take on this south-of-the-border adventure looked about as diverse as the variety of bicycles that were present. 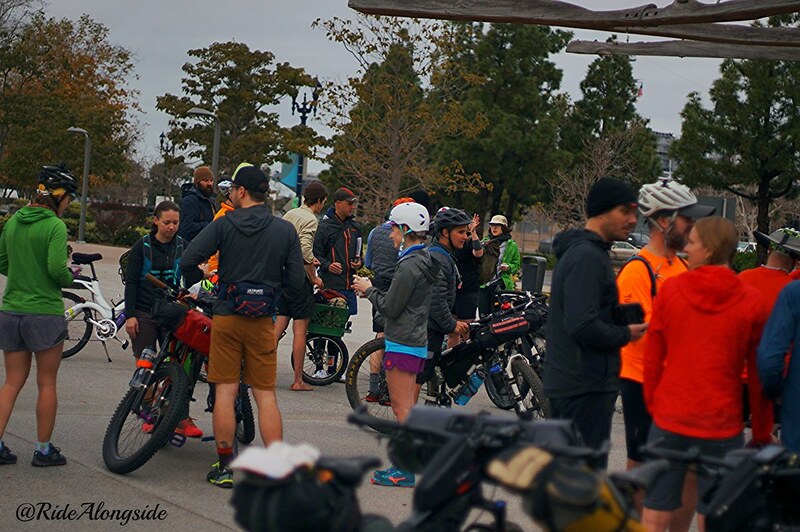 Many of these riders chose to bring plus bikes, but there are also fat bikes, drop bar mountain bikes, full suspension mountain bikes, and even single speed mountain bikes. The diversity in carry systems was also very noteworthy. 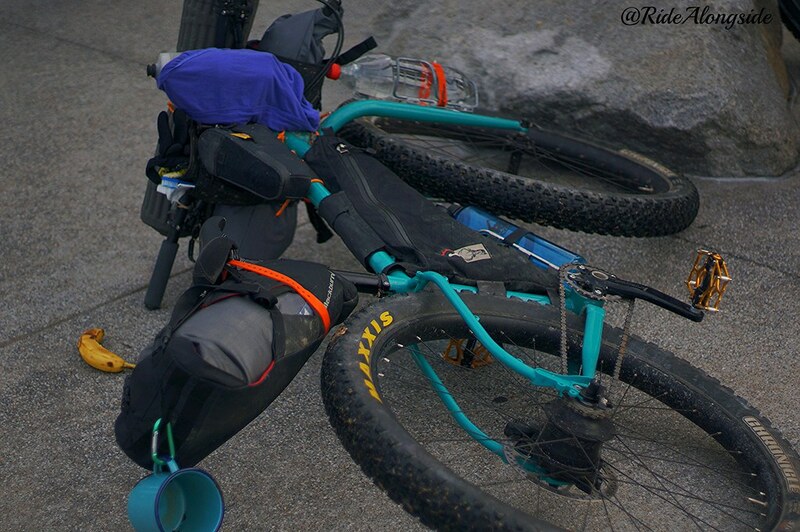 Everything from panniers to large vessels for water we’re strapped in many different places upon the bicycles. Nicholas and Lael made history today by kicking off this group start. 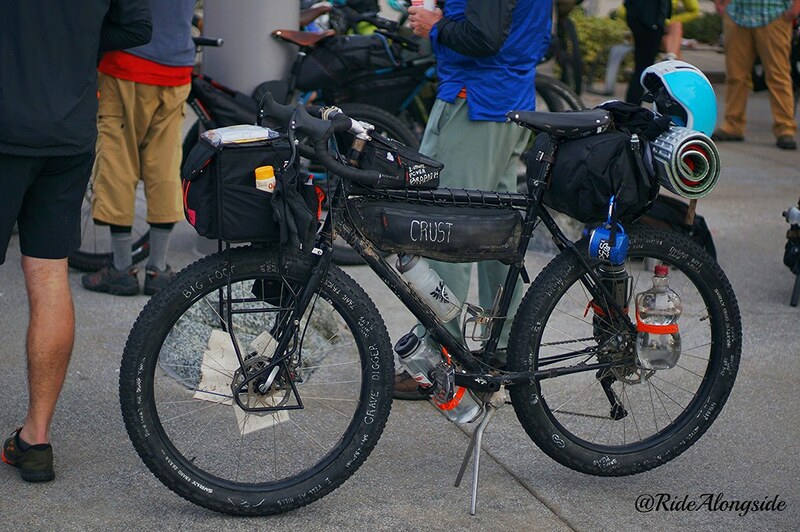 I can only imagine how elated they must have felt to have all their planning, research, blood, sweat, and tears culminate into an event that was received so very well by our bikepacking community. 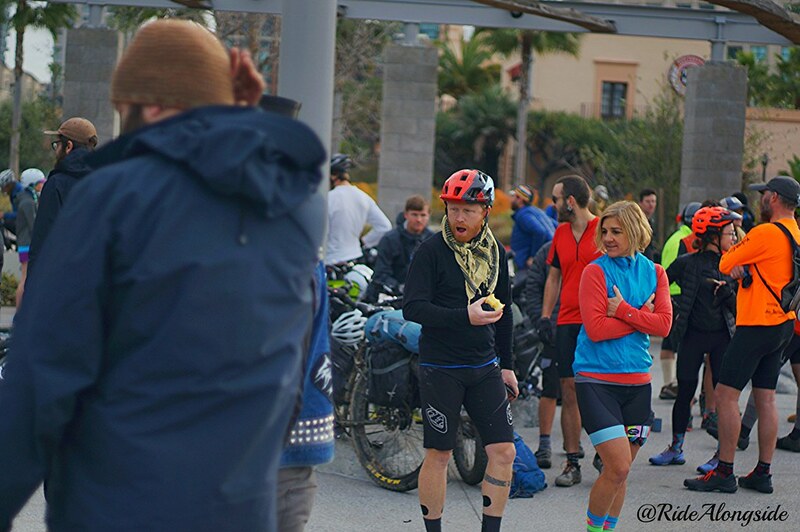 100 riders were led out by Nicholas and Lael today and will spend the better part of the next month traveling down the peninsula of Baja California at their own pace. More rig and rider shots will be posted up soon. There are lots of pictures from today still being processed! 29plus Wheels from Bontrager Wheelworks? Paralyzed rider Martyn Ashton is “Back On Track”!